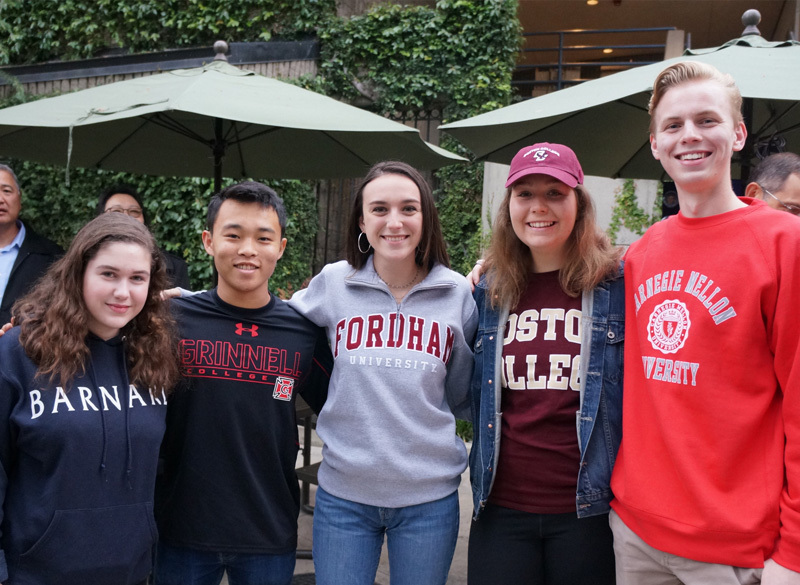 On May 1, the Class of 2018 joined their parents, faculty, deans and the College Counseling Office to celebrate their college decisions. Families gathered for photos as students donned their new college colors. Inside the auditorium, students declared their choices by placing a pin on a map. From Maine to Los Angeles, the diversity of the college list reflected students’ individual journeys through high school and their hopes for the future. 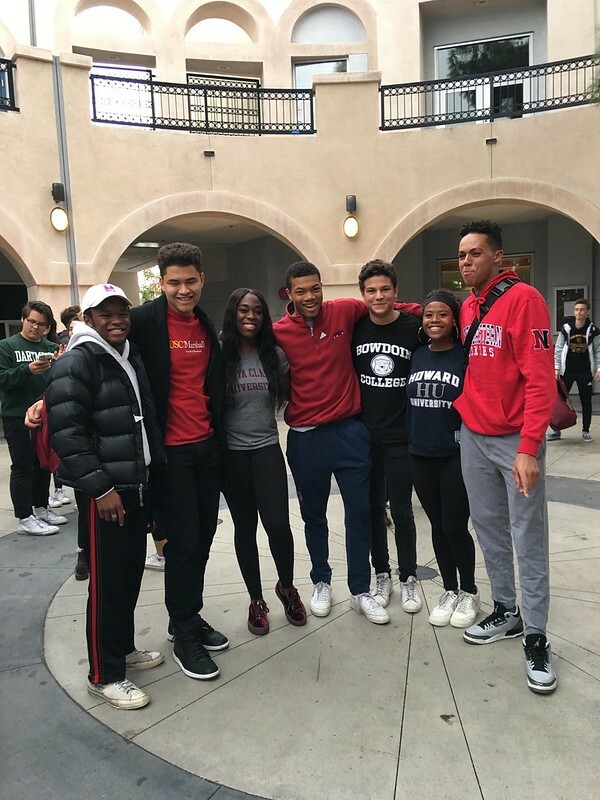 “The best measure of success is the number and diversity of schools that students choose, and this year we have students attending more than 50 colleges, universities, and technical institutes,” says Gloria Diaz Ventura, Director of College Counseling. The annual Senior Celebration is the culmination of 18 months of self-reflection, during which the three-person college counseling team gently guides students to examine the qualities they seek, from campus size and geographic location to academic fit.